I don't normally shop at Primark (I'm not a fan of the long queues!) but this range is definitely going to send me to Primark next week. I went there a few weeks ago to look for it then realised it hadn't come out yet. 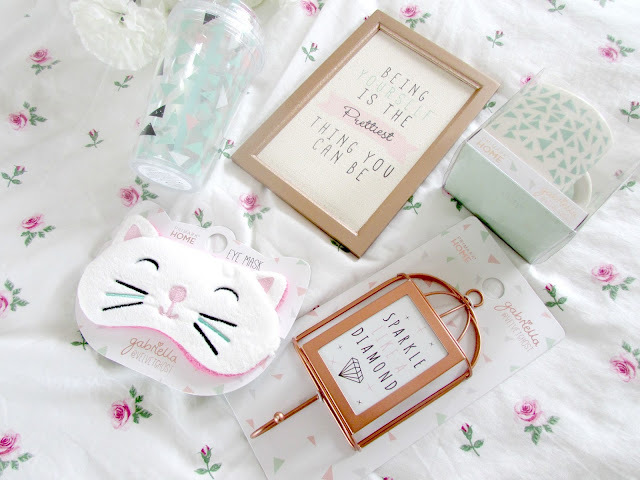 I'm quite keen on getting the quote frame and the clear mug with the cat whiskers. The eye mask is quite tempting too. I also love pastel colors. These are cute! 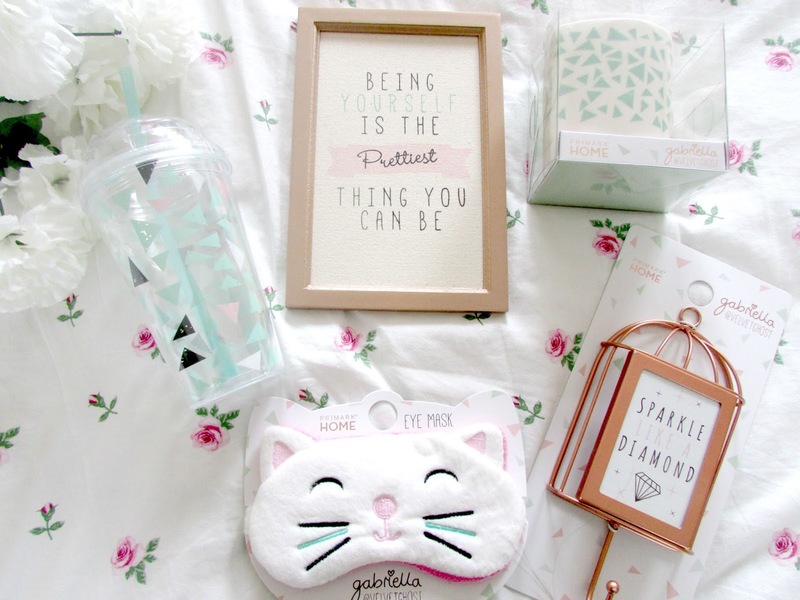 My favourite product is the 'Smile Dream Sparkle' Hook', I'm really into rose gold lately! I also love the furry cat eye mask.. so cute!! Omg im so jealous, my nearest one doesnt have anything like this. Ahh all the home wares look incredible! If only it was available in Australia! There is a Velvetgh0st homeware collection?! I want it all! I think the eyemask and print are my favourites.